I really wanted to go there on the weekdays since there are less people which making the photos to look better. However my colleagues had to return to home earlier. So I had to go there with them on the weekends. 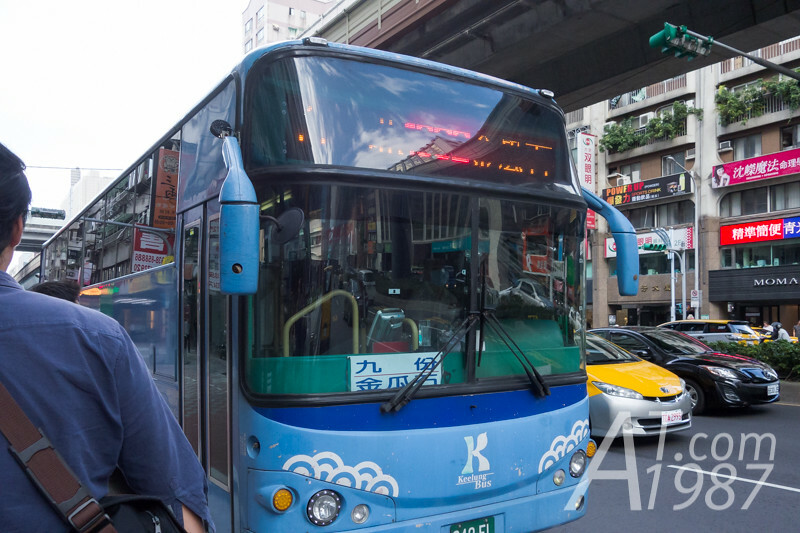 The trip began at SOGO Fuxing Store where the buses to Jiufen stop nearby. 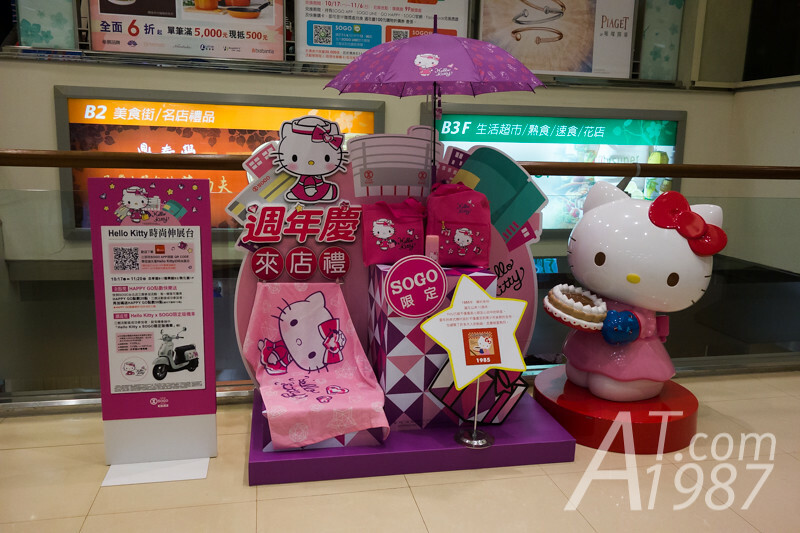 I was greeted by the international worker Hello Kitty at the store entry next to the station exit. I went to the basement of store to have the lunch. 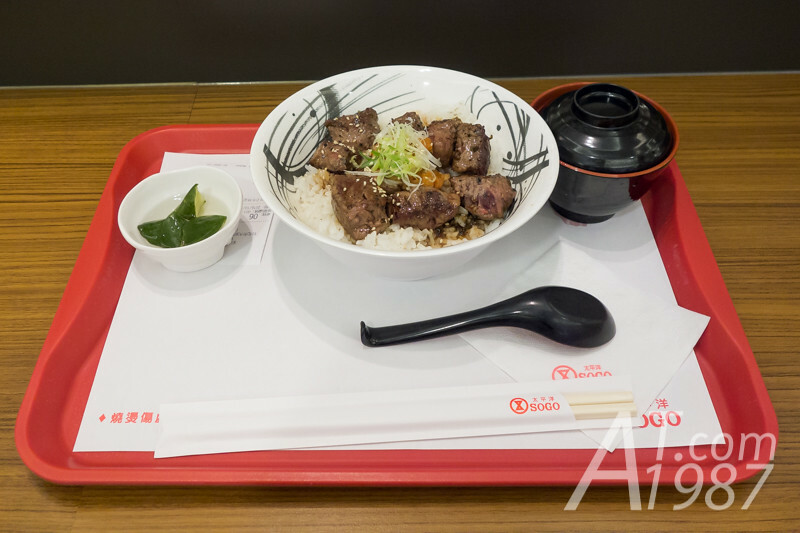 I got beef cube steak with rice from Saidonya. The taste is OK but the meat is a little hard for me. After finished the lunch. We walked to the bus stop near SOGO. At first we went to the wrong street. 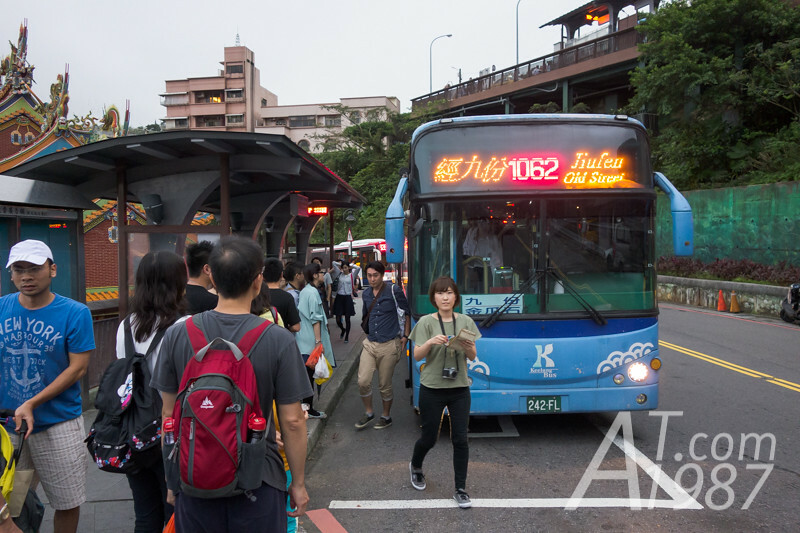 So we walked back to the right bus stop on Fuxing South Street and found that the buses which goes to Jiufen stop at the nearby bus stop. 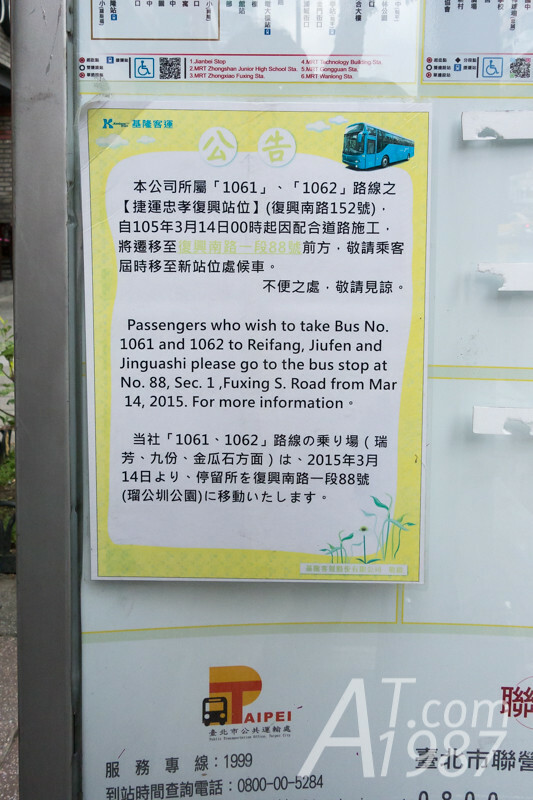 We stood at the bus stop for a while then the 1602 bus that goes to Jiufen arrived. Most of its passengers were tourist from Taiwan and foreign countries like Japan. 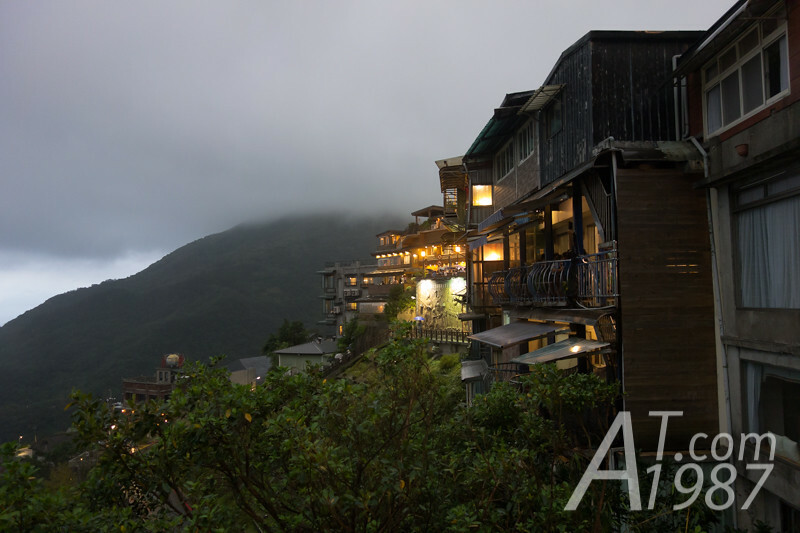 It took about 1 hour and a half to travel to Jiufen. You don’t have to worry about getting off the bus. Because there are a lot of people get off at this stop. You will also notice the uphill road when you almost there. 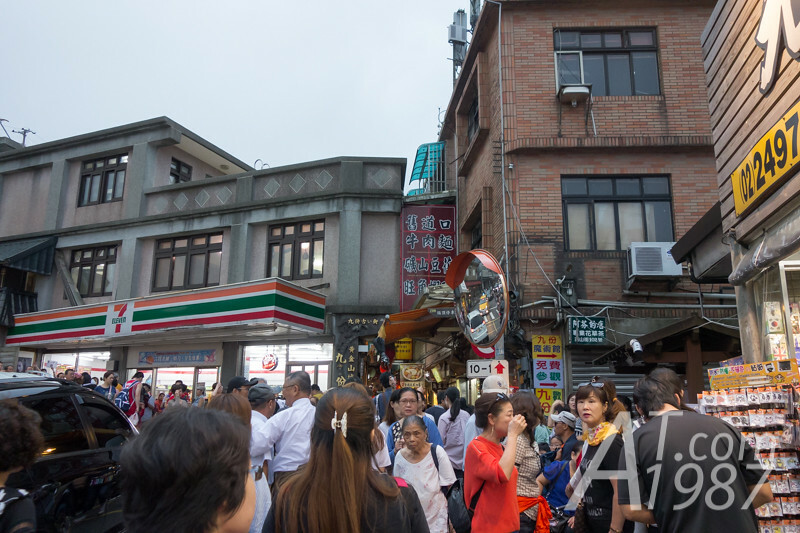 The starting point is the street with beautiful wooden arch beside the 7-Eleven. A huge crowd gathered around this point. So I expected more people on the street. Let’s go to the street!